Sitting here in my room with the sound of nothing in the background. You would never know that it was a summer morning. The house is unbelievably quiet; almost like no one is here. The smell of my cinnamon coffee is in the air, and the temperature outside is currently 54degrees…on August 21st. That is still summer right?! The stillness this morning is as odd as the cool temp. Sometimes our house is so loud and noisy it’s all I can do to make it to bedtime. The TV is on, music is playing, someone is watching a youtube video about Minecraft, and no one takes into account who is speaking or listens to all the noise; they just talk over everything else. Gaining my attention is a battle. And, who ever is the loudest gets to be the victor. I like to think I love the quiet. That silence is my favorite and no noise is the best noise. But, then it happens and all I can do is miss the sound. The slam of cupboard door because someone is making coffee. The squeaky pantry door opening as someone looks for breakfast. The water running for a morning shower. And of course, the voices that are always asking what we are going to do today or if I will make pancakes (my kids would eat pancakes for every meal if I would make them). Keeping this in mind, I cannot help but think how I listen. Do I turn my attention to the loudest and most in your face voice? Do I only respond to what is screaming in my head or my heart? Or, do I take a minute, evaluate what is going on around me and seek out who was there first? The one who is sitting quietly waiting for the chaos in the house to suspend for a moment so they can be clearly heard? 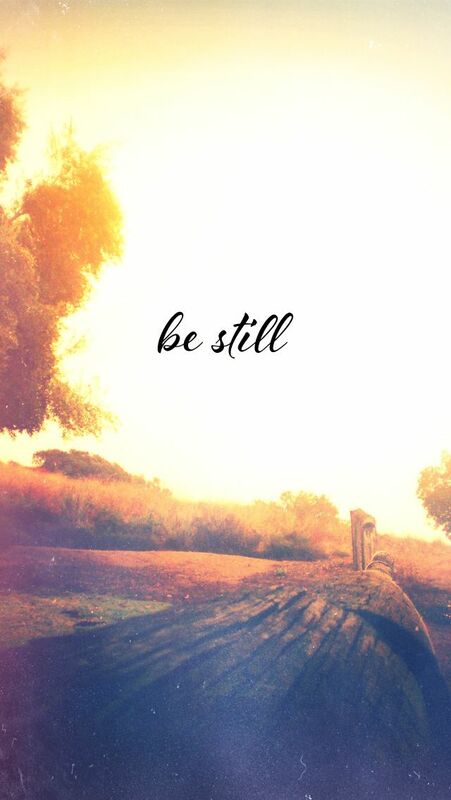 Why is it so hard to be still, and then listen? I think we get so accustomed to the chaos and the noise we look for our answers in it. We expect the loudest voice to be rightest voice (yes, it’s word; trust me right now I’m the loudest…). And, then we totally forget about quiet. We neglect the stillness, and look to the noise for our peace. We get confused when there is no noise; like we have no direction when there is nothing fighting for our attention. There IS good in the noise. Sometimes, it’s the only way to gain our full attention. But, how often do we miss Him in the stillness because we are looking for a display of His might? 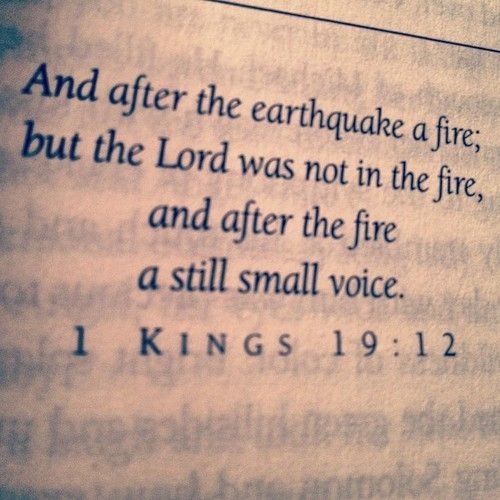 How many times do we ignore the small voice in hearts because the good things are louder? Today, I am going to choose happy because He is God in the quiet and the chaos. 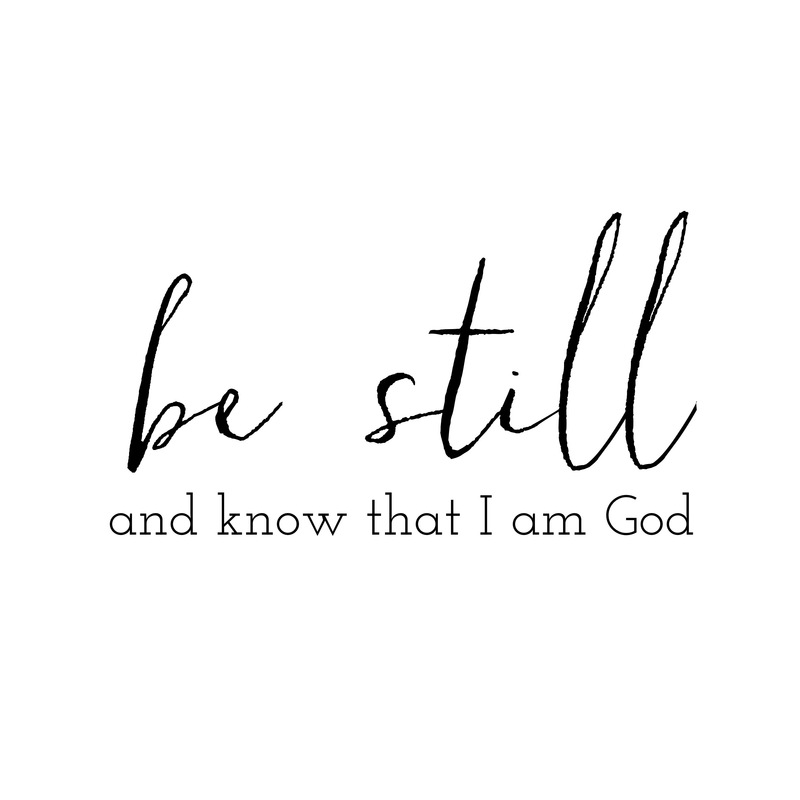 He is there for me in stillness and the storm. I only have to take the time to listen. The trees were covered in bright, sunny yellow and rich, fiery red leaves. The sun was just starting to shine through the birch trees in my backyard. The rain isn’t a full on steady downpour yet, it’s just a mist. The kind that doesn’t fall from the sky, instead it just kind of hovers over the yard and in the trees. A breeze blows through, not a burst, or a strong push of air, but a light and gentle almost whisper of a wind. And with just that little push, those beautifully colored, bright, and sunny leaves leap from the trees and seem to float, almost stand still in mid-air, before they fall to the ground and decorate the wet, green grass below. It was like I was standing in the middle of a work of art. I was surrounded by quiet beauty, and the world seemed still. That paints quite the picture of peace and serenity. However, I am only showing you what was in front of me. I haven’t let you see what’s going on behind me. Those words up there are hiding the background. The background is a completely different scene….. The dog is somewhere out in the woods (which is why I was outside on the deck), the kids want breakfast, and bags need to be packed for the school day ahead. The bus is almost here and no one has brushed their teeth. Oh, and the bagels are burning in the toaster; what a delightful smell! Now, it’s like I am standing in the middle of a loud and chaotic mess. I am surrounded by what could be called the exact opposite of quiet beauty. And in this moment, this crazy, messy, hurried moment, I can’t help but be grateful. I am grateful for all that this new season holds and all that the previous one brought to us. I am thankful for busy schedules because they help me appreciate quiet moments. I want to be still for just a little longer because these chaotic mornings will be over before I know it. Pretty soon the falling leaves will turn to snowflakes, and Thanksgiving will be Christmas, and then another year will be starting. I am grateful for THIS moment. This beautiful, chaotic, we are going to miss the bus, hurry up and put your shoes on moment. I will choose happy this week because sometimes the loud, chaotic background is beautiful too.